America’s most exclusive yacht builder sails into the future. THE LATE AMERICAN BANKER AND BILLIONAIRE philanthropist David Rockefeller had an opinion on everything, and on the subject of yachts, he was a Hinckley man through and through. “As any sailor will tell you, most of the pleasure of sailing is in the quality of the boat,” Rockefeller once said, referring to his love of Hinckleys. Maker of some of the most coveted boats in the world, Hinckley has been plying its trade on the coast of Maine since 1928. Although known for its stately crafts, which are a mainstay of traditional American sailing, the company recently announced the debut of Dasher, the first fully electric luxury yacht of its kind. For the 28.6-foot craft, priced at upwards of half a million dollars, Hinckley developed a new material dubbed Artisanal Teak, which mimics the appearance of varnished wood, but is half the weight and needs much less maintenance. 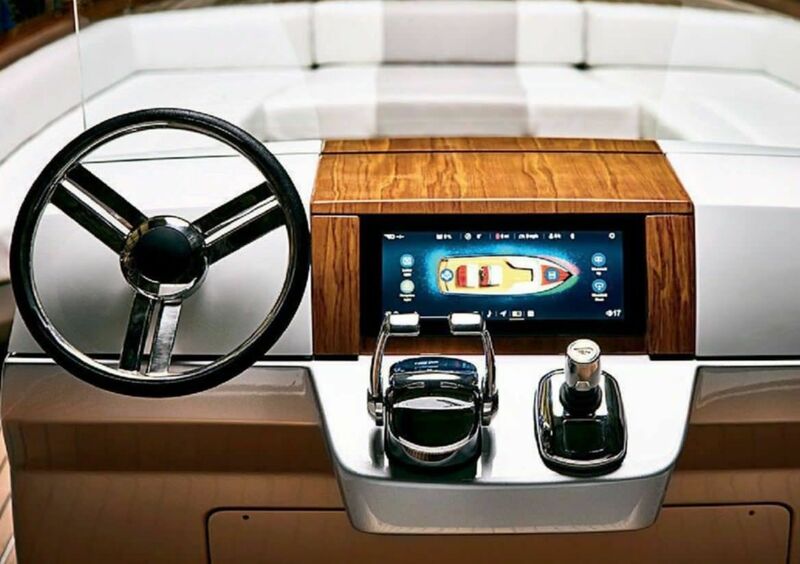 Much like a limited-edition Ferrari, there is typically a waiting list to purchase a hand-built Hinckley yacht, but the company insists that the Dasher will be on the water by midsummer. It features 3-D printed titanium hardware and console details as well as twin 80-horsepower, all-electric motors powered by BMW i3 batteries. Peter O’Connell, the Hinckley Company’s president and CEO, says the boat is part of the historic pursuit of new tools and technologies at the company, which pioneered the use of fibreglass and jet drives for pleasure craft.